Every image we see begins with light. That light is bent and focused by the cornea, and it is directed toward the retina at the back of the eye. If the focus of the light isn't precise, the images we perceive can be hazy or fuzzy. During laser-assisted in situ keratomileusis (LASIK) procedures, surgeons reshape the cornea. The goal of this surgery is to reduce focusing errors, so images are sharper than they were prior to surgery. As the American Academy of Ophthalmology points out, LASIK allows most people to perform everyday tasks without glasses or contacts. 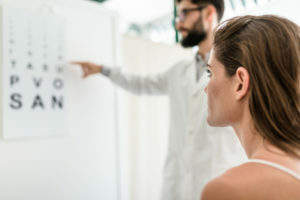 People may not have perfect 20/20 vision after surgery, but they may be able to see well enough that they won't need to wear corrective devices all the time. During LASIK, a surgeon creates a thin flap in the cornea and lifts that flap back. A laser beam is focused on the cornea tissue that that once sat below the flap, and a precise amount of tissue is removed. The flap is placed back down at the end of the procedure. Corneal tissue heals quickly, so surgeons do not need to use stitches or bandages to hold the flap in place. Tissues will knit together in time. All LASIK surgeries follow this same basic procedure, but there are some forms of LASIK that have subtle variations. For example, according to the U.S. Food and Drug Administration (FDA), some LASIK surgeons use a scalpel or similar cutting tool to create the corneal flap at the beginning of the procedure. Those who use all-laser LASIK use a laser to create that flap. Wavefront LASIK procedures involve mapping and adjustment elements to surgery, allowing for tiny errors in cornea thickness and shape to be corrected. LASIK isn't the only surgery available to help with vision issues. There are other procedures that can help to reshape eye anatomy and ensure that light is focused as precisely as possible. 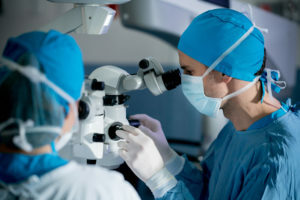 Some ophthalmologists offer a full suite of surgeries, so they can match the proper type of procedure to a patient who needs help while others specialize in just one type of surgery. LASIK is meant to help people who struggle to see clearly without the help of glasses or contact lenses. According to research conducted in 2013 by Consumer Reports, 80 percent of people who had LASIK were either "very satisfied" or "completely satisfied" with the results of their surgery. Nearsightedness, or an inability to see things at a distance without the help of glasses or contact lenses, is a common focus of LASIK procedures. Nearsightedness stems from a light focus that is too short. The focused image lands in the center of the eye rather than on the back of the eye. Removing corneal tissue with LASIK can move the focus of light to the retina, resulting in sharper images. In a study in the journal Clinical Ophthalmology, researchers found that 99 percent of people with nearsightedness treated with LASIK achieved 20/20 vision without glasses. These people reported few post-operative complications, and they were satisfied with their ability to see after surgery. Studies like this suggest that some people with nearsightedness could benefit from LASIK. Farsightedness, or an inability to see things close up without glasses or contact lenses, stems from a light focus that is too long. The focus is behind the retina, so the resulting image seems blurry and indistinct. Farsightedness can be caused by a cornea that is flat, rather than round, and that surface can be adjusted with LASIK. In a study of the efficacy of LASIK on different types of vision problems, published in Ophthalmology Pakistan, researchers found that 97.4 percent of people with farsightedness had corrected vision with LASIK. That success persisted for at least a month after surgery. Research like this suggests that LASIK might be appropriate for some people who struggle with farsightedness. Other studies suggest that people who are farsighted might not have as much benefit from surgery when compared to people who are nearsighted. According to Graefe's Archive for Clinical and Experimental Ophthalmology, the unusual shape of the eye that causes farsightedness can, at times, return after LASIK surgery. When that happens, people might need to undergo another procedure to amend the issue. People with nearsightedness may not have this same concern. Anatomical issues that make glasses hard to wear and contacts hard to fit. People who cannot or do not want to wear glasses or contacts are well positioned to reap the benefits of LASIK. Even people who believe their glasses or contacts are acceptable might find that LASIK's benefits make their lives just a bit better. In a study of the issue, published in Ophthalmology, researchers compared visual satisfaction among people who wore contact lenses and those who once wore contacts or glasses but who had LASIK. After three years, 88 percent of former contact wearers and 77 percent of former glasses wearers were strongly satisfied with their LASIK results. Just 54 percent of those who stayed with contacts were satisfied with their continued use of those devices. Clearly, some people who have LASIK are much more satisfied with their vision after surgery than they would have been had they skipped the procedure. While LASIK procedures are certainly powerful, and they have the ability to make life a lot easier for people who cannot tolerate glasses or contacts, they are not the right solutions for every person and every vision issue. In fact, there are some people who should not consider a LASIK procedure. Disease, such as rosacea, eyelid inflammation, and autoimmune disorders. People with dry eye may not heal as quickly after LASIK, and the surgery can make some dry eye symptoms worse. Since LASIK involves shearing off a portion of the cornea, those with thin corneas may also need to avoid this surgery. They may not have enough tissue to allow surgeons to perform the procedure properly. Similarly, people with significant vision loss may require the removal of a great deal of tissue to amend the deficiency. A surgeon may not be able to remove enough tissue, which would result in an improvement in vision but not a correction of the entire problem. Removing too much tissue could also leave the cornea thin and vulnerable, which may not be ideal for health in later life. People with vision corrections that change often may also be poor candidates for surgery. 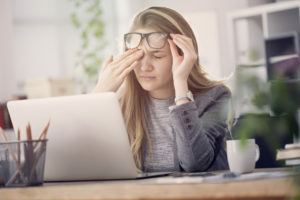 The American Academy of Ophthalmology reports that most vision corrections stabilize by the time people reach their mid-20s, but some people have prescriptions that shift later in life. LASIK is meant to be a precise correction for a specific loss of visual acuity. People with shifting prescriptions may not experience the real benefit of the surgery since their need for correction may also bend with time. Waiting until the prescription is stable may be a wise move. Some diseases, including diabetes, can impact healing ability. People with an underlying medical condition like this may also be considered a poor candidate for surgery, as they may not heal as quickly as a surgeon considers appropriate. That slow healing could lead to infections and other complications. Diseases, medications, and prior injuries could all impact the success of surgery. A measurement of corrected and uncorrected vision will happen at this step. Measure pupil size and cornea thickness. People with wide pupils and thin corneas might not get the maximum benefit from surgery. The eyelid placement, the ability to move the eyes, the health of the back of the eye, and pressure building within the eye may all be assessed. At the end of an exam like this, a doctor should have a good recommendation about whether or not LASIK might be right for your eyes and your health. The measurements taken during this exam can also help the doctor to plan for your surgery. A typical LASIK surgery takes just minutes to complete, and you are awake during the procedure. Your doctor may provide you with medications to help you stay calm and relaxed during the surgery, and those medications can impair your ability to drive. As part of your surgical preparations, you should determine how you will get to your appointment and home again. You may need to take a few days or weeks away from work, depending on the tasks you perform at work each day. Scheduling that time away from work should also be part of your surgery preparation process. The FDA reports that contact lenses can change the shape of your eyes, and those devices should be removed weeks before your exam with your doctor. You should keep those lenses out of your eyes leading up to surgery too. The day before surgery, stop using creams, lotions, or makeup on your face or around your eyes. Your doctor may also ask you to wash your face and eyelashes with a special soap the day of the surgery. LASIK is a medical procedure, and as this article demonstrates, it can be remarkably helpful. 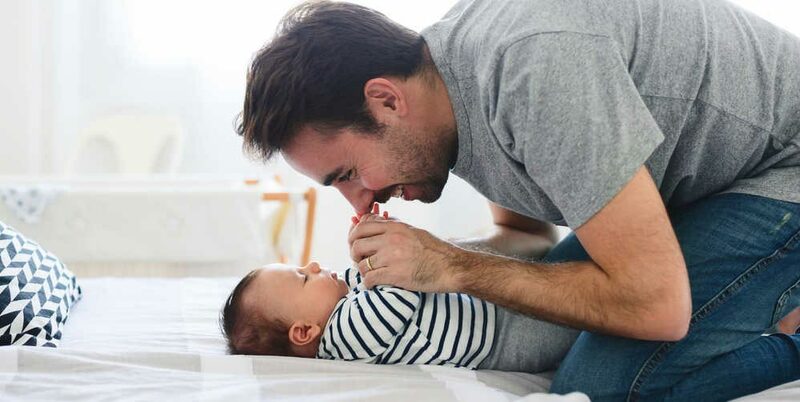 However, insurance companies often consider this an optional procedure, and that means you might be required to pay for the cost of your surgery without using your insurance benefits. For example, the insurance provider Cigna says that LASIK is an "elective, cosmetic procedure," and "most" insurance companies will not cover the cost. Insurance agents might prefer for you to continue to use glasses or contact lenses rather than participating in a surgery. An ophthalmologist interviewed by Michigan Health suggests that LASIK procedures typically cost about $2,200 per eye. To take advantage of the benefits of surgery, you may need to pay this cost out of pocket. Some companies offer financing, so you can make affordable payments each month until the final sum is paid. 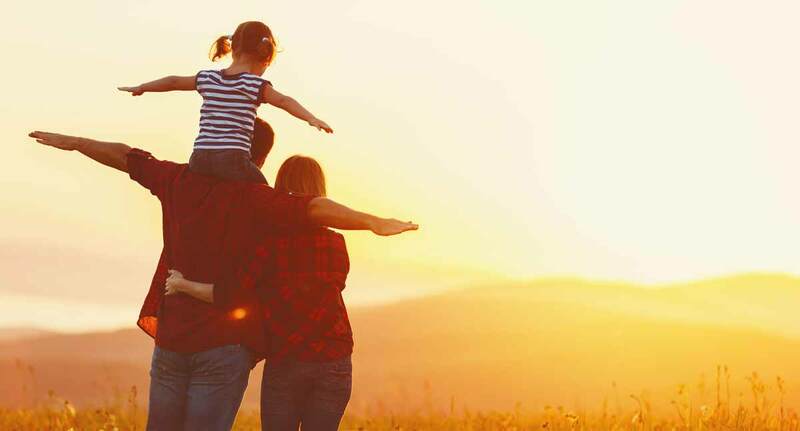 You might also use funds from a health savings account (HSA) to cover your costs. Your eye is an incredibly delicate part of your body. Before you submit to surgery on that eye, you should ensure that the surgeon you choose is one who is both qualified and trustworthy. Find out how long your surgeon has been in practice and how many surgeries they have performed during that time. Ask about the care you'll be given both before and after surgery. Learn more about the issues your surgeon thinks might happen to you, and ask how your surgeon might work with you to reduce those risks. The American Academy of Ophthalmology also recommends asking your surgeon to describe how your vision might change after surgery. You might need to understand what 20/40 vision seems like, and you might need to hear more about how your night vision might change. Your ophthalmologist should be able to describe those issues to you in words you can understand so you can make an informed decision about surgery. You should also ask your surgeon to tell you more about the tools used during your surgery. The FDA approves devices for use during LASIK, and some devices are approved for some types of patients while others are not. Ask your surgeon to provide you with the formal device name of the tool to be used during your surgery, and look for it on the FDA website to make sure it's approved for eyes like yours. Reduced closeup vision, which could impact your ability to do crafts and other close work. Lack of the clear vision you expect with glasses or contacts. You may experience surgery complications, such as infections. You may also have an unusual corneal healing process, resulting in a bump in your cornea that impacts your vision. At one point, people were told that dry eye was a risk after surgery. According to the journal Molecular Pain, current research suggests that some feelings of dry eye are similar to feelings of pain people might feel after a different type of surgery. Disturbing the nerves, which can happen with any type of surgery, can lead to feelings of discomfort that are slow to fade even when the surgical site has healed. You may experience pain that your brain interprets as a dry eye feeling. If your dissatisfaction with glasses and contact lenses is acute, you may choose to move forward with surgery despite these risks and complications. But if you are a person who avoids all potential risks, surgery may not be the best option for you. If you decide to move forward with LASIK surgery, you will need to take special care of your eyes in order to heal. Your doctor may ask you to use eye drops for several days after surgery to help your tissues heal, and you may be given an eye shield to protect your cornea from pokes and prods. The FDA reports that you should see your doctor 24 to 48 hours after surgery to ensure that you are healing well. 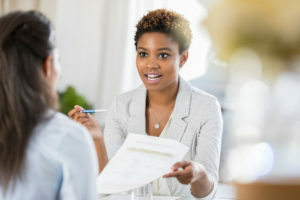 Your doctor may also give you instructions about when you can go back to work, and you might be given instructions about when you can engage in hobbies and sports like jogging. Within a few weeks, your eye might be healed from surgery. But you may still be encouraged to take special care of your eye to ensure that you have the biggest benefit from surgery. For example, you might be encouraged to wear protective eyewear while tackling tasks such as gardening. A corneal flap can dislodge even years after surgery, so it will be vital for you to protect your eyes from accidental pokes and scrapes. You will also need to avoid scratching or rubbing your eyes. Wearing a sleeping mask at night might be a wise way to protect your eyes if you find that you rub them in your sleep or snuggle them into your sheets and blankets. LASIK surgery is permanent, and the work done during a procedure cannot be undone. It is wise to do your homework and conduct research before you agree to let anyone cut into your eyes. It is also wise to make sure you are working with a trusted professional who has the equipment and the expertise you can trust. We would love to partner with you. Contact us to find out more about surgeons in your area. 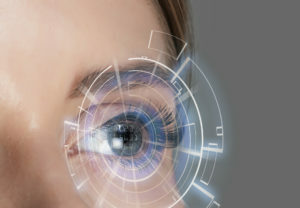 LASIK: Laser Eye Surgery. (December 2015). American Academy of Ophthalmology. LASIK: LASIK FAQs. (July 2018). U.S. Food and Drug Administration. LASIK Eye Surgery: Will You Really Get Rid of Your Glasses? (February 2013). Consumer Reports. Visual, Aberrometric, Photic Phenomena, and Patient Satisfaction After Myopic Wavefront-Guided LASIK Using a High-Resolution Aberrometer. (December 2016). Clinical Ophthalmology. Visual Outcomes After LASIK (Laser-Assisted In-Situ Keratomileusis) for Various Refractive Errors. (2017). Ophthalmology Pakistan. Role of Preoperative Cycloplegic Refraction in LASIK Treatment of Hyperopia. (March 2016). Graefe's Archive for Clinical and Experimental Ophthalmology. Three-Year Longitudinal Survey Comparing Visual Satisfaction with LASIK and Contact Lenses. (August 2016). Ophthalmology. Facts About Dry Eye. (July 2017). National Eye Institute. Should I Worry That My Eyeglass Prescription is Increasing? (August 2015). American Academy of Ophthalmology. LASIK Surgery Screening Guidelines for Patients. Eye Surgery Education Council. Lasik: What Should I Expect Before, During, and After Surgery? (July 2018). U.S. Food and Drug Administration. LASIK (Laser In-Situ Keratomileus) for Nearsightedness. Cigna. Pros and Cons of LASIK: Are the Risks Worth the Cost? (December 2017). Michigan Health. The Basics of LASIK Eye Surgery. (August 2012). Federal Trade Commission. Questions to Ask When Considering LASIK. (December 2015). American Academy of Ophthalmology. List of FDA-Approved Lasers for LASIK. (September 2018). U.S. Food and Drug Administration. Chronic Dry Eye Symptoms After LASIK: Parallels and Lessons to be Learned from Other Persistent Post-Operative Pain Disorders. (February 2015). Molecular Pain. Does it Hurt or Cause Pain? Can You Go Beyond 20/20? Can You Get it Twice? Contacts and Glasses After LASIK? Does the Doctor Make a Difference? Does LASIK Help with Reading? When Is LASIK Enhancement Needed?